How can you support change in all aspects to get a new building practice embracing circular and reversible building? How can you bring the entire system in the room? Some of the answears you can find in this new book! The business opportunities in a circular economy are huge, but developing product and service offerings and achieving competitive advantage means rethinking your business model from early creativity and design processes, through marketing and communication to pricing and supply. “Designing for the Circular Economy” highlights and explores ‘state of the art’ research and industrial practice, highlighting circular economy as a source of: new business opportunities; radical business change; disruptive innovation; social change; and new consumer attitudes. The book provide a comprehensive overview of issues related to product circularity from policy through to design and development. It will give an understanding of the changing social and political context and include numerous examples. An important feature of the book is the case studies section that covers a diverse range of topics related to CE, business models and design and development in sectors ranging from construction to retail, clothing, technology and manufacturing. BAMB partners EPEA and the University of Twente have contributed two chapters. 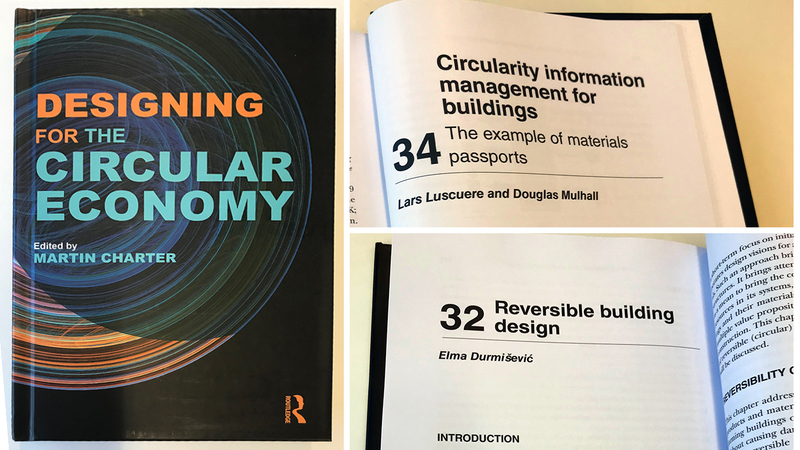 Lars Luscuere and Douglas Mulhall have written a chapter about “Circularity information management for Buildings – The example of materials passports” and Elma Durmisevic contributed with the chapter “Reversible Building Design”.